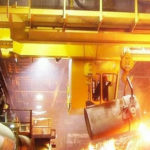 Weihua overhead cranes have reasonable and the best price with reliable quality. 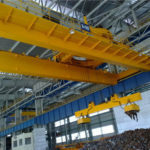 The overhead crane in our company has the reasonable price because the cost on the raw material and workforce are and working efficiency is high. The checking system of overhead crane is strict. All of the procedures are checked strictly. Because of the strict checking system, the machine is made by the professional workers step by step. Our company has professional engineers and skilled workers. A number of overhead crane machine engineers work in our company. We always put technology ahead so that the technologies in our company are advanced in the world through the great contribution of talent. Our company provides customers with the best service. The best services including on sale service and after sale service are supplied in our company. Our company always focuses on the principle of customers first and quality ahead so that customers can receive the good quality machines from us. 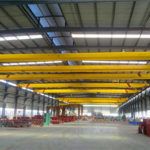 We believe that the good quality overhead crane equipment is widely accepted by the customers in the world. 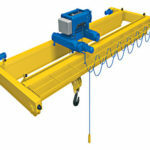 This series overhead crane machines are cost effective. Our overhead crane machine is cost effective because the quality of the equipment is reliable so that it will save money and time in the maintenance. A set of equipment with the bad quality will waste much time to maintain so that it will delay your business. The crane in our company is environment friendly. Due to the new technology are applied in our company, the noise in the crane are too small to affect the work. What’s more, our company owns the special spray painting room so that the whole process of production is environment friendly. All in all, the machine in our company is no harm to the environment. Innovation plays an important role in our company. Our company pays much attention to the innovation of the new technology. Compared with the cranes in the past, the new cranes own good stability because of the innovation of the crane. 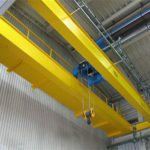 Owner of the overhead crane needs to ensure that the equipment is texted by authorized examiner. In the meanwhile, the machine should be tested thoroughly in order that the machine can be operated and used normally. What’s more, the operator should be trained professionally so that the service time of the lifting equipment can be prolonged. Lifting supervisor needs to co-ordinate all lifting activities. Co-ordination can be achieved through the proper briefing of the lifting plan to all relevant personnel such as the lifting team and co-workers affected by the lifting operations. 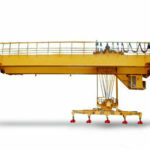 The crane operators are required to be trained and deemed competent in the operation of the crane. In the meanwhile, the crane operator and lifting supervisor should cooperate with each other well. Before the formal working of the crane, please check the crane so that the crane machine can be worked normally and avoid some unnecessary accidents. Check the whether the crane hoists is in proper working condition and all the motion indicators on the pendant control correspond with control device marking. Always familiarize yourself with the controls as pendant controls can differ from one another. Please ensure all hoist limit switches, travel limited switches and indicating devices are in good working condition. Please make sure that the hook block is in good working condition. There should be no illegal modification to the hook. Please visually check the operating environment to make sure that there is no obstacles to affect the safe use of the overhead crane. The cranes in our company are equipped with the safety device in order that the crane can finish the lifting task normally. If there are improper things, the machine will give warn to the operator. 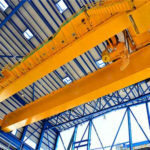 How to Maintain Overhead Crane? 1) The appearance of overhead bridge crane: sweeping the appearance completely, so that there is no dust and no yellow robe. Please check that whether there are cracks and open welding. 2) Trolley: check and fasten the drive shaft seat, gear box, coupling and shaft, key is loose; in the meanwhile, please check and adjust the brake wheel clearance to make it uniform, sensitive and reliable. 3) Check the bridge crane reducer mainly depends on whether it leaks oil. When there is abnormal noise inside the box, we must open the lid. Generally due to bearing damage or gear meshing side clearance is too large, serious wear of tooth surface and other reasons. 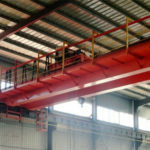 4) Lifting and hoisting: check whether the wire rope, hook and pulley are safe and reliable, and wear should be replaced when the wear exceeds the specified value. Check and adjust the brake to make it safe, sensitive and reliable. 5) Inspection of the steel wire rope of the bridge type crane. The commonly used varieties are phosphate coating wire rope, galvanized steel wire rope and light surface wire rope. Inspection of wire rope should focus on the observation of broken wire, wear, twist, rust and so on. It is necessary to mark some places with serious wear and wire breaking but not exceeding the standard, in order to focus on re-inspection. Please pay attention to checking whether the safety limiter in the reel is effective, whether the wire rope pressing plate on the drum is pressed and the number of pressing plates is suitable. 6) Lubrication: check the oil and oil content of all parts and add or replace lubricating oil as required. 7) Check the pulley of the bridge type crane. The key point is whether the groove bottom wear is excessive and whether the cast iron pulley has cracks. For the balance wheel of the pulley block of the pitching mechanism, it is easy to be ignored because it does not move normally. Therefore, the flexibility of rotation must be checked before installation, otherwise, the length of the rope and the tension of the steel rope in the installation can’t be adjusted automatically by the balance wheel so that the difficulty of adjusting the rope in the high altitude and the risk of operation are increased. 8) Electric system: the sensitivity and reliability of each limit switch; the sensitivity and reliability of the electrical appliances in the electrical box; check whether the motor, the bell, and the wire are safe and reliable; the situation of signal light. 9) Check whether the coupling of bridge crane has loosening or even rolling key. It is important to check the elastic rubber ring of the elastic pin coupling for any abnormal wear. For the toothed coupling, please pay attention to the wear condition of the gear ring. Because of the poor installation accuracy and the large offset between two axes, the whole gear ring will wear out quickly in a short time. In such a case, a serious accident is likely to occur in the lifting mechanism.